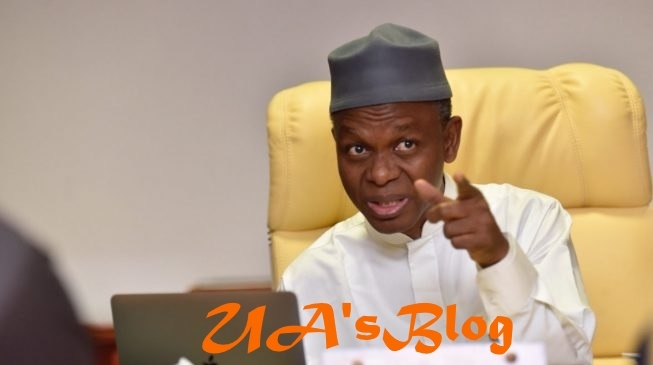 The Kaduna State Governor, Nasir El-Rufai, on Tuesday said the 2019 election was between thieves who are out to loot and trustworthy people. He made the remark while delivering his keynote address at the launching of the 69 campaign council of the All Progressives Congress, APC, at the Murtala Mohammed Square in Kaduna. El-Rufai stated that the Peoples Democratic Party, PDP, has nothing to offer Nigeria. According to him, “The 2019 general election is a poll between trustworthy people and thieves, between patriotic leaders and those who went to Abuja to loot our treasury. “So, we have to stand up and show them that, Kaduna is not a state that will allow them to cheat the people and the masses. “What we have done in Kaduna state in the last three years has shown that, APC as a party is the one that loves the masses and assists the masses, not party that will take public fund and share among the rich.